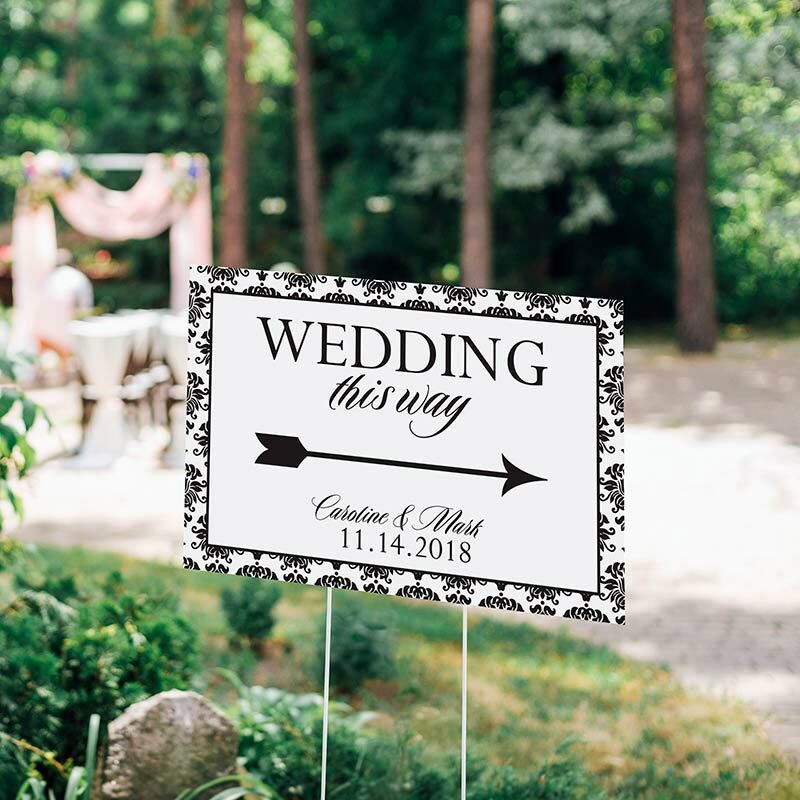 Lead your guests to the celebration with Kate Aspen’s Damask Personalized Directional Wedding Sign! 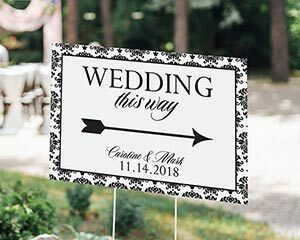 In a chic, classic, and regal damask pattern, the 18"w x 12"h directional wedding sign shows your personalized text with two lines of script perfect for your names and event date. The sign can be placed just about anywhere with its included wire base.